Jang Geun Suk has been selected as a promotional ambassador for the upcoming 2018 Pyeongchang Olympics, 2018 Pyeongchang Paralympics, and the Gangwon Province, and will be officially appointed by the Gangwon Provincial Government at a ceremony on December 8. Choi Moon Soon, the governor of Gangwon Province, thanked the actor for choosing to actively participate in promoting the Olympics and the Paralympics. “We have high expectations as he has acted as the cultural bridgehead between Korea, China, Japan, and Asia. With the start of the 2018 Pyeongchang Olympics, the festivities will continue on to the 2020 Tokyo Olympics and 2022 Beijing Winter Olympics. 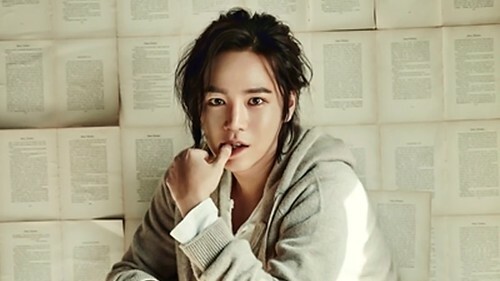 I am confident that Jang Geun Suk’s promotional activities will become a great example,” stated the governor. To secure the success of the 2018 Pyeongchang Paralympics, Jang Geun Suk will purchase 2,018 tickets and invite 2,018 fans to attend the event. He will also record a video to cheer on the athletes participating in the Games. Jang Geun Suk also plans to promote the Games further at his “The Crishow 4” arena tour taking place in Osaka and Tokyo early next year. I am sooo proud of you my prince. You are choosen from so many others korean puclic figures. Do your best darling, I always hope all the best for you.